TrainUp Reviews - Why Use TrainUp.com? TrainUp.com is the web’s largest career training marketplace, listing training courses in over 150 categories including business skills, finance, information technology, and human resources. Training is available live (in classroom or virtual) or self-paced online via eLearning. TrainUp.com also specializes in organizing customized on-site / in-house training services. "Why register? It was super easy. TrainUp provided great service. They were super responsive. Easy to find what I needed. Best way to find training!" "Janet is an exceptional instructor, and I would gladly take another course led by her. She did a great job of sharing lots of information in the short time allowed." "Instructor did a nice job. He communicated well, and answered all questions. He kept the class exciting." “My experience with EJ and the team from TrainUp was excellent. All of my training was provided on time and their people were always available to help with enrollment and the exams. I have recommended TrainUp to my fellow military retirees as a great company to work with." YOUR REGISTRATION HELPS SUPPORT LOCAL EDUCATION. TrainUp.com recently announced that a portion of every course registration will benefit the youth students of New Horizons of North Texas. NHNTX is a 501 (c)(3) nonprofit organization dedicated to helping at-risk children and teens growing up in environments of poverty, academic failure, and hopelessness. 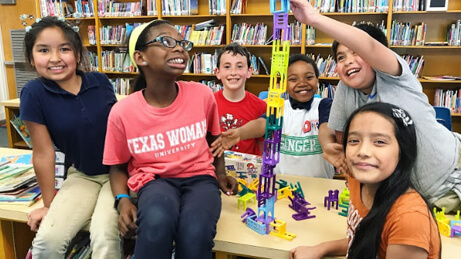 As an affiliate of New Horizons Programs, Inc., New Horizons of North Texas serves the Dallas-Fort Worth Metroplex through after school tutoring and mentoring. 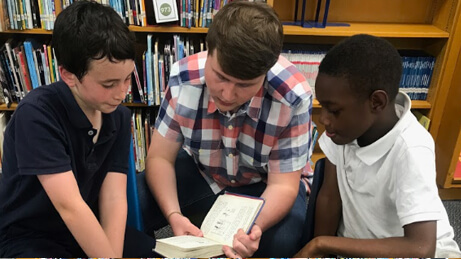 Their afterschool learning communities emphasize their core values of honesty, integrity, and personal responsibility in daily character education lessons and mentor relationships. Through their initiatives and support from TrainUp.com, some of the most vulnerable members of the community are provided with the opportunity to choose a different course for their lives through the variety of no-cost programs.